Features: San Francisco Post-Hep, Russian Performance, Taboo Subjects, Tacit by Steven Durland. Review: Nightclubbing With Burroughs, Giorno and Anderson. Poetry by John Bennett. 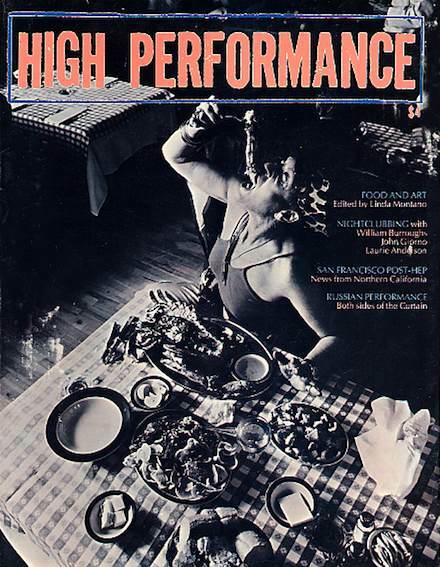 Special feature: Food and art, edited by Linda Montano.